By combining Philosophy and Sociology, you'll gain the skills to critically analyse today’s society, and to tackle its biggest issues. Philosophy encourages you to consider universal questions about human behaviour. In Sociology, you look at how they’re dealt with now in our legal, political and cultural systems. Your studies of both subjects take a progressive approach. You’re taught by expert researchers who influence ground-breaking debate. And you join a community that is philosophically and politically engaged. 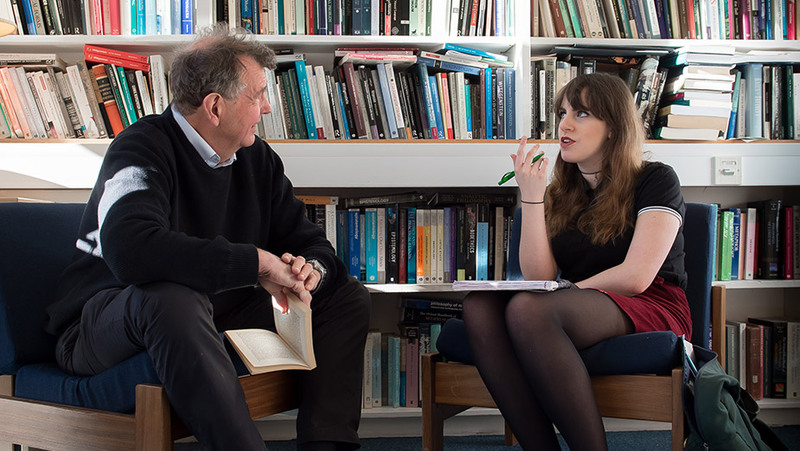 By taking a Philosophy and Sociology degree at Sussex, you'll develop key skills in communication, research, critical thinking and analytical skills. This means you are prepared for a range of jobs including careers in the Civil Service, government, health and social welfare, or public and human relations.